Founded in 2001, Bella Musica showcases the combined talents of four internationally recognized musicians featured in film and television, symphony orchestras, studio recordings and performances with the hottest pop artists of today. Their programs are varied and unique, yet traditional, featuring innovative programming and an electrifying stage presence. 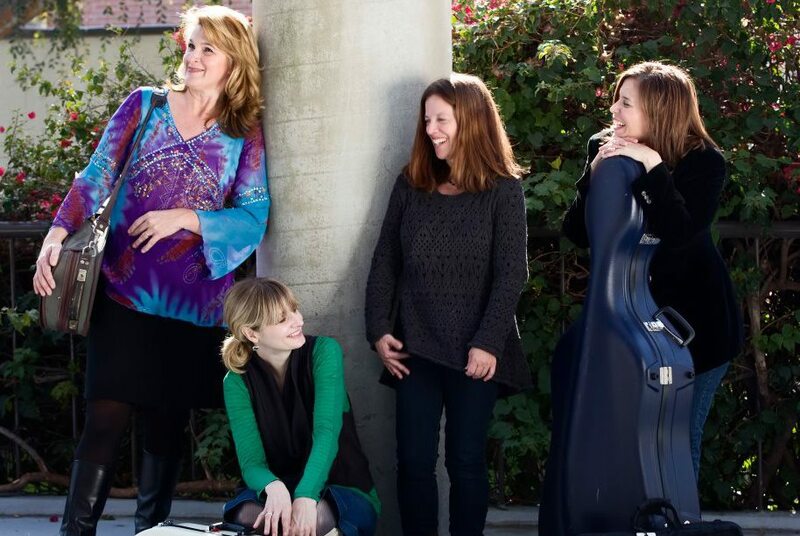 These talented ladies are the “Femmes Fatales” of chamber music. The ladies of Bella Musica are active throughout the year with performances and educational outreach events around Southern California. They have regularly appeared as a guest artists at the Oregon Coast Music Festival in Coos Bay, Oregon, and have performed hundreds of outreach events all over Southern California. They have also collaborated with the acclaimed jazz duo Grant and Matheny. Excerpts from their CD’s have been featured in the films “Stick it in Detroit” and “Two Birds, One Stone.” In 2006, Bella Musica appeared as a featured ensemble at the gala opening of the Renee and Henry Segerstrom Concert Hall in Orange County. They have also appeared in radio interviews for KBHR and Kids Talk Radio. With more than a dozen years of performing experience together, Bella Musica would be delighted to add that special touch of live, classical music for your special event.